The Beauty Buff Blog: Peter Thomas Roth Serums! I had never really tried Peter Thomas Roth products till recently and I now kinda feel like my world has changed. I've been using two serums that literally make my skin feel like a baby's bottom (in beauty lingo this is the highest honor to achieve). Since my skin lacks the "moisture gene", I'm constantly looking for ways to soften it. Both solutions feel velvety on and really penetrates your skin. 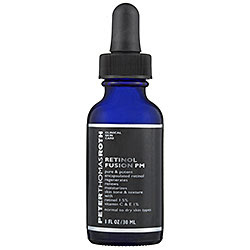 Peter Thomas Roth Retinol Fusion PM is a moisturizing serum with a potent punch of retinol and other skin renewing benefits. It's made with 1.5% retinol yet is totally mild on the skin. I may not be at the age where wrinkles are showing but I'm certainly worried about them anyway. This serum reduces the appearance of fine lines and improves skin tone and texture. It's kinda a miracle in a bottle! Best of all, it seriously moisturizes the skin. For reals, this stuff works. 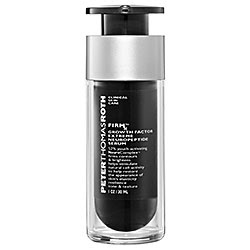 My other latest skin-obsession (skin-session) is the brand's growth factor neuropeptide serum, Peter Thomas Roth FIRMx. I'm not gonna lie, it's pricey but that's how serums go and this one is more than worth it. This is another great all around serum to improve skin texture, provide moisture, add firmness, texture, tone and general skin radiance. You only need a few pumps to cover your face. The key ingredient, Growth Factor Extreme, is a synthetically bioengineered growth factor that activates the skin's natural repair mechanisms so your skin will look defined, contoured and generally even. This is a great serum if your skin is uneven or spotty from acne scarring, sun discoloration or age spots. If these aren't your major issues, you'll still love it because of how amazing your skin looks and how lightweight the serum feels on. 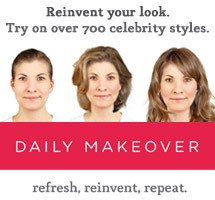 This fab product will seriously make you feel like you've just had a mini face lift. Both PTR products really make my skin glow and get my Beauty Buff seal of approval!